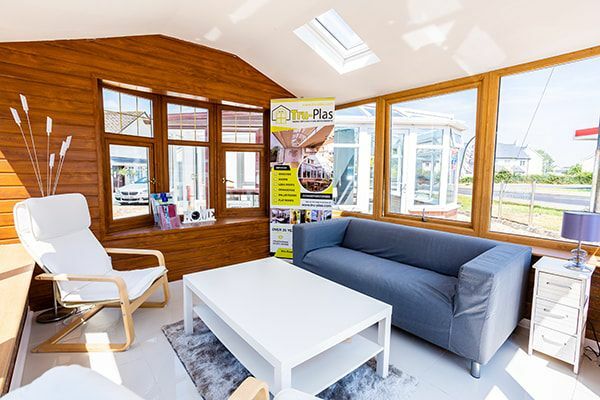 Tru-Plas Ltd is a well respected PVCu Home Improvements Company, established since 1991, offering only very the best quality PVCu Doors, Windows, Conservatories and Porches throughout Pembrokeshire, and South Wales. Over the years Tru-Plas Ltd has acquired an excellent reputation for its friendly and professional customer service, installing over 7000 quality installations to date. This is helped with securing only the very best fitting teams with a wealth of experience behind them. We are a Trustmark and Checkatrade registered company along with being a FENSA certified business. This enables us to offer all customers an independent deposit / installation guarantee on all uPVC frames and Double Glazing sealed units. 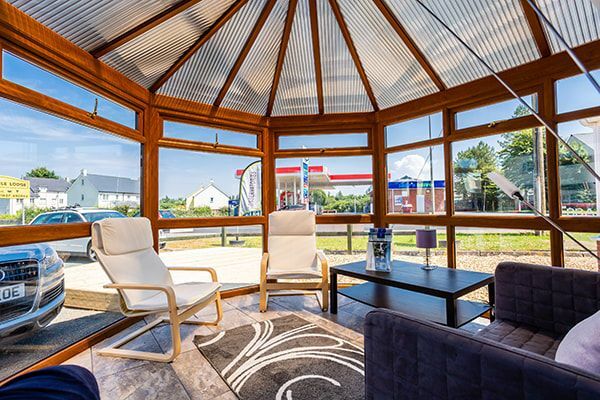 No matter how you contacted us, be it by telephone, email, internet or simply by walking into our showroom you can be assured that your enquiry will always be dealt with professionally and promptly. One of our team will take your details and pass them to one of our qualified friendly consultants. Our sales people will then contact you to arrange a convenient time to call to your home with a view to discussing your uPVC conservatories or windows / doors requirement. Our friendly advice and consultation will usually take place at your home. This gives our sales people an opportunity to measure either the area where your new conservatory may be required or any window / doors replacements that we have been requested to provide a quotation for. We are able to provide accurate electronic drawings of proposed new uPVC conservatories through our clever software available on our laptops. 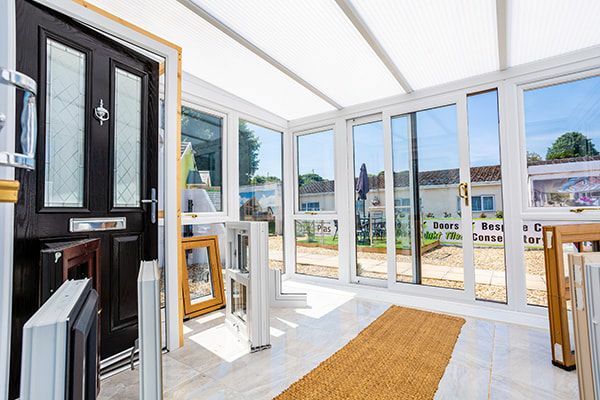 This unique tool will help you see what your finished uPVC conservatory could look like when completed and give you the chance to tailor your final application. 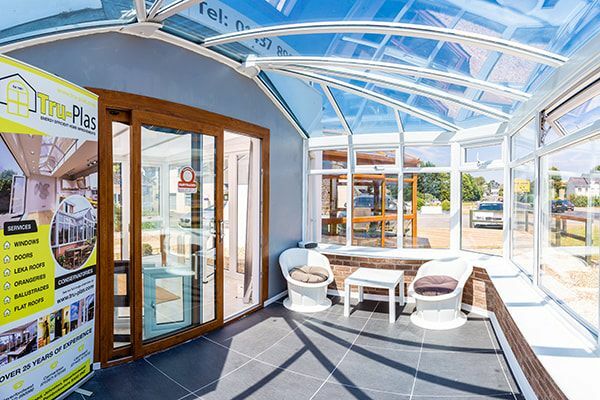 After deciding on your preferred conservatory or other windows and doors applications, our sales people will provide you with a competitive quotation onsite. Once agreed we will take a small deposit applicable to your order value and ask you to sign a customer order form. The order form will confirm your requirement, price, measurements and any other specification you have requested. Your sales person will confirm all the details of the consultation and the work to be carried out before leaving. If you have any questions or wish to discuss any element of the application, please ask the sales person at any time to provide further information. Shortly after your sales consultation you will recieve a visit from our qualified surveyor who will attend site to gaurantee that all aspects of your work have been catered for. Your surveyor will measure either your uPVC conservatory area or window /door area as well as look out for any aspect of building work that may need highlighting to our installers. Upon completion of our surveyors report we will agree an installation date for your work to commence upon and our brick layer will first visit (if required and dependant on application) to lay your conservatory concrete base and brick wall. Shortly after this work has been carried out, our team of installers will arrive to complete your uPVC element of your conservatory (or windows / doors). Our team are very professional and will always keep you up to date with work. All our team of fitters will make every effort to 'always' clear away any rubbish from site and to leave your home looking presentable. We pride ourselves on service delivery and speed of work, without compromising our quality and high standards. The team at Tru-Plas will turn around your installation in a matter of weeks................. this is unbeatable. We have finished your high quality and fantastic looking uPVC conservatory, windows and doors so what happens next? Well just to guarantee an end to end customer experience, one of our team will contact you at your home to ensure that everything has met to your satisfaction. Tru-Plas - the number one supplier of uPVC windows, doors, conservatories and porches throughout Carmarthenshire, Pembrokeshire, St Davids, Pembroke, Tenby, Llantrisant and South Wales. We carefully select all of our products to ensure only the very best for our customer. The Tru-Plas philosophy is people, product, punctuality. 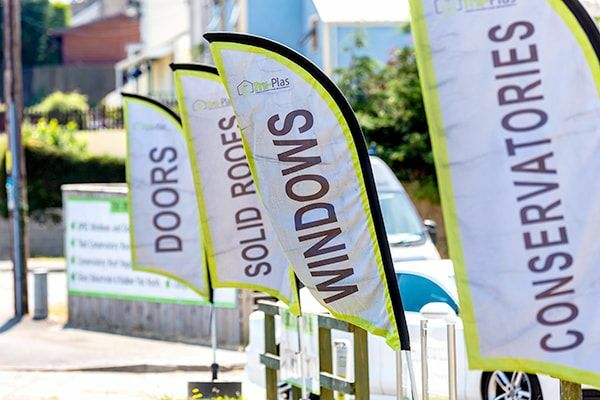 With this criteria, Pembrokeshire based 'Tru Plas' retains the highest standard of installations and through doing this our existing customer referrals average a staggering 97.7% that either return to Tru-plas for future products or refer us to family and friends for their home improvement needs. Expert advice is offered on all aspects of design which best suit your home and your pocket, and you can be sure of a trouble free installation and after sales support with as little disruption as possible. 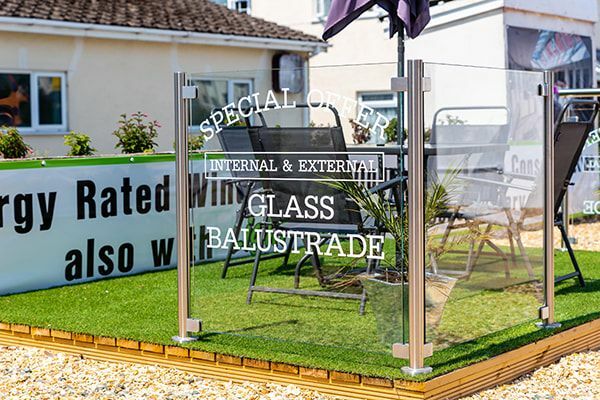 If you are searching for Conservatories, Windows or Doors in Pembrokeshire then Tru-plas will be the best call you make.